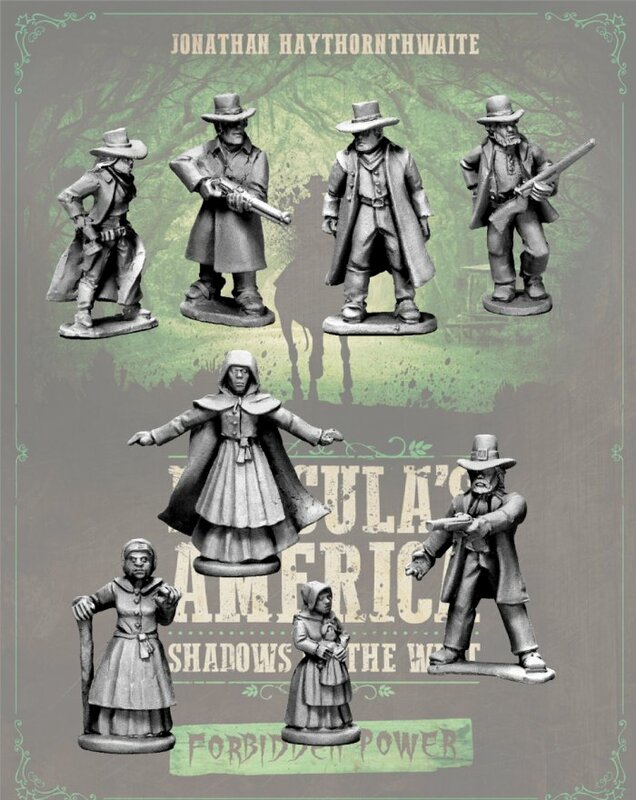 In today’s post, I quickly discuss Dracula’s America: Shadows of the West by Osprey Games and the Nickstarter Campaign for the new book Forbidden Power. For those that don’t know, Nickstarter is North Star Military Figures version of a Kickstarter. It is basically a pre-sales model where everyone gets extra rewards based on how much money was raised during the project. For American readers, Brigade Games is their American partner and the same “Nickstarter” deals are available through them in American Funds. 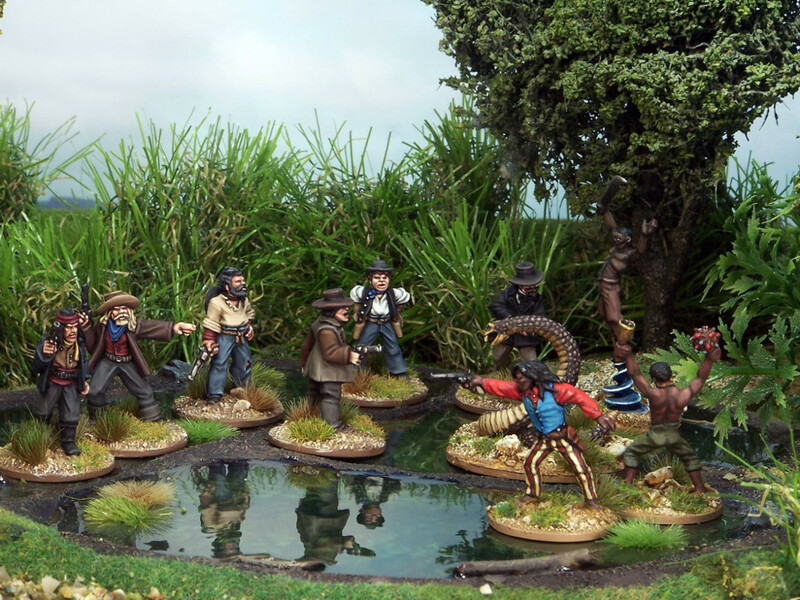 My goal with this article is to give you a little bit of background about the game and to show you some of the possible miniatures. I also aim to potentially save money for the people interested in this game by directing them to the Nickstarter. This pre-order sale runs until Sunday July 8th (12.00pm BST). In Dracula’s America, the year is 1875 and Dracula is the President of the United States of America and has declared himself President for life. The players take control of Posses and duke it out for power and survival. 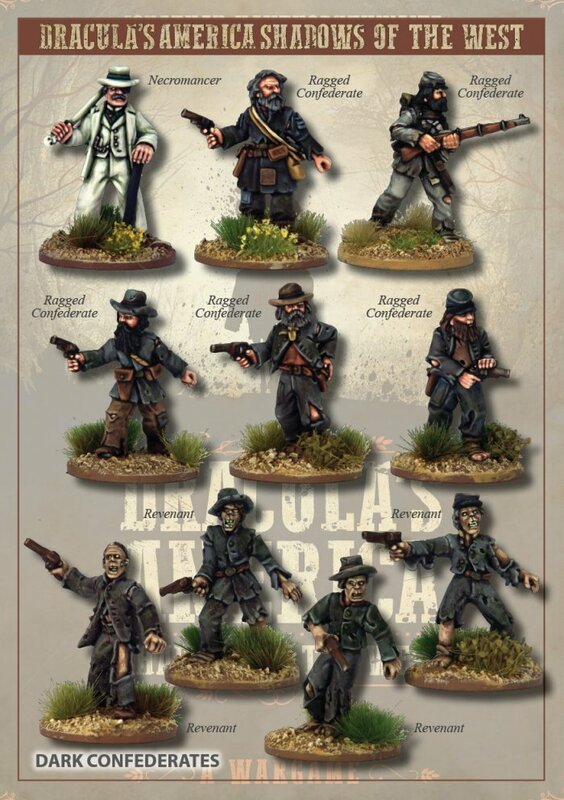 Of the original posses, the Dark Confederates were my favorite. They have a creepy vibe. Of the original posses, the Dark Confederates I liked the best. Another neat faction was the Twilight Order. I like the Templar and Crusaders in this group. There are also a number of other groups that you can choose from. 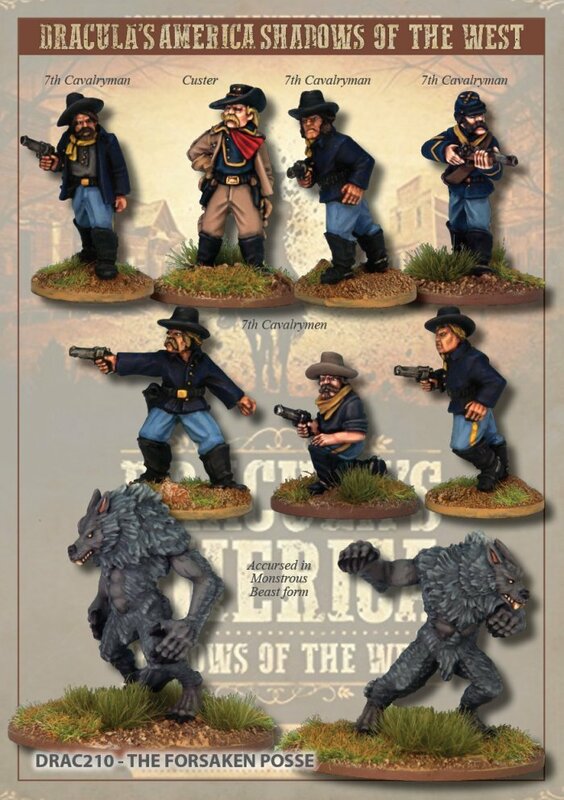 North Star sells some excellent miniatures for the game, but if you already have some relevant miniatures, I wouldn’t see anything wrong with using them as proxies. The rule book itself was fun enough and I gave it a quick thumb through. Hunting Grounds was the first expansion to Dracula’s America. When I checked this book out, I was really impressed. The production value of the artwork increased dramatically and both of the new factions in the book interested me more than the original posses. On top of that, this book added new campaign options, the ability to build and develop a headquarters (base), and new skills to help your group stay in the fight. I gave this book a good read, and I liked what I saw. Personally, I found the two new Posses a little more interesting than those in the original book (other than maybe the Dark Confederates). The Shadow Dragon Tong Posse. 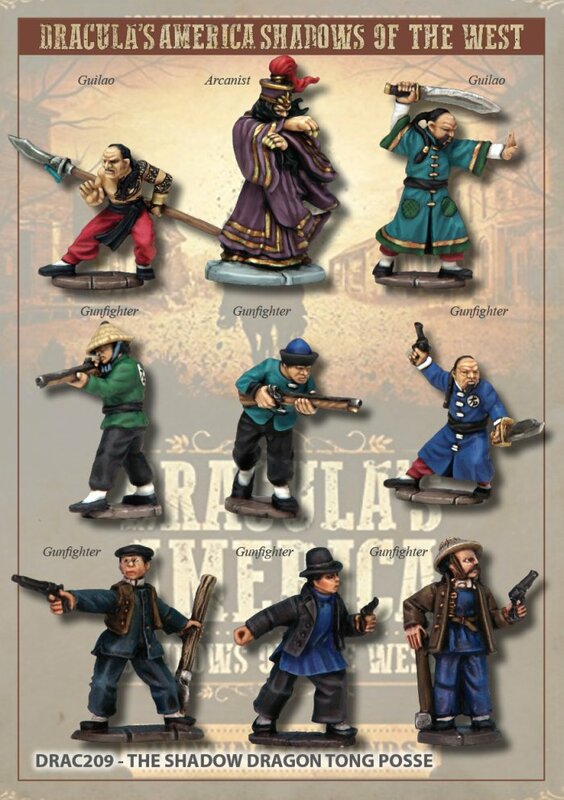 When I saw these, I also thought they would fit in nicely with the game A Fistful of Kung Fu. I personally felt that Osprey took a huge step up with this book as it contains better artwork and suits my interests better than the core book. Now, I am really interested in seeing what the third book has to offer. 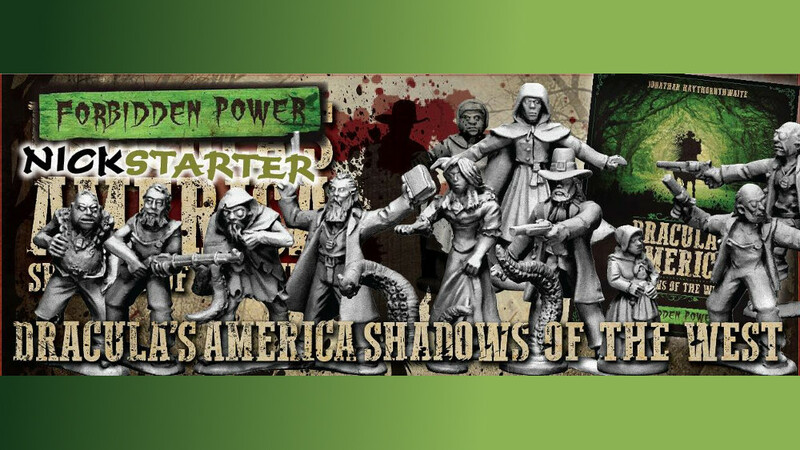 Forbidden Power is the second expansion for Dracula’s America and the one currently gathering funding through “Nickstarter.” When I saw the previews and artwork for this one, I thought “wow, that could be the hook to get me into this game!! !” This expansion features Worshipers of the Elder Gods, and the Salem Sisterhood. Cthulhu… Cultists… Arcane Rituals and Occult Powers. Okay… You grabbed my attention now!!! On top of the new Posses, the book introduces new environments to fight in (including swamps) and rules for stealth missions. I don’t have this book yet, but it certainly interests me. Now, let’s check out the new Posses. The Salem Sisterhood. This Posse is lead by powerful white witches of the Sisterhood. 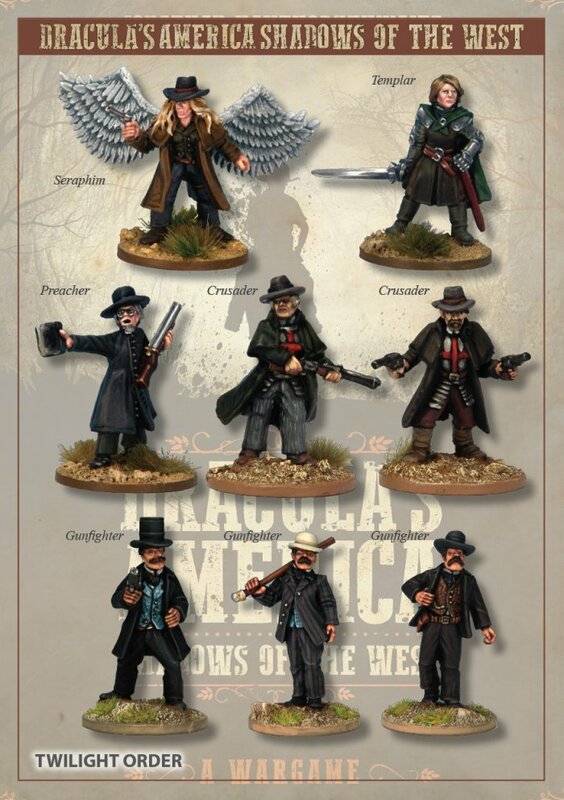 I think these minis look really cool! The Kin Posse is a cannibal group that lives in the hills. Very creepy! 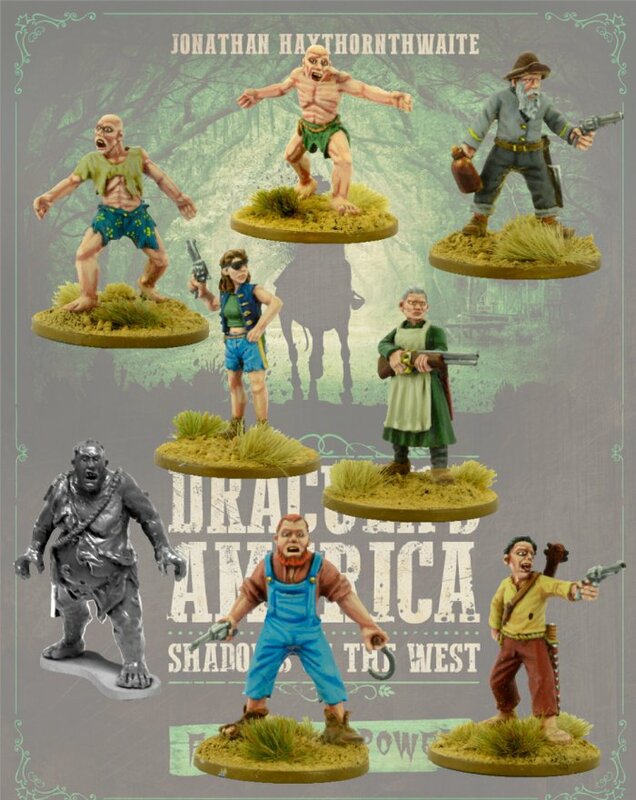 To me, this expansion for Dracula’s America: Shadows of the West has the potential to be extremely cool! Love the minis, and the content is steering even more towards the type of content that I like. 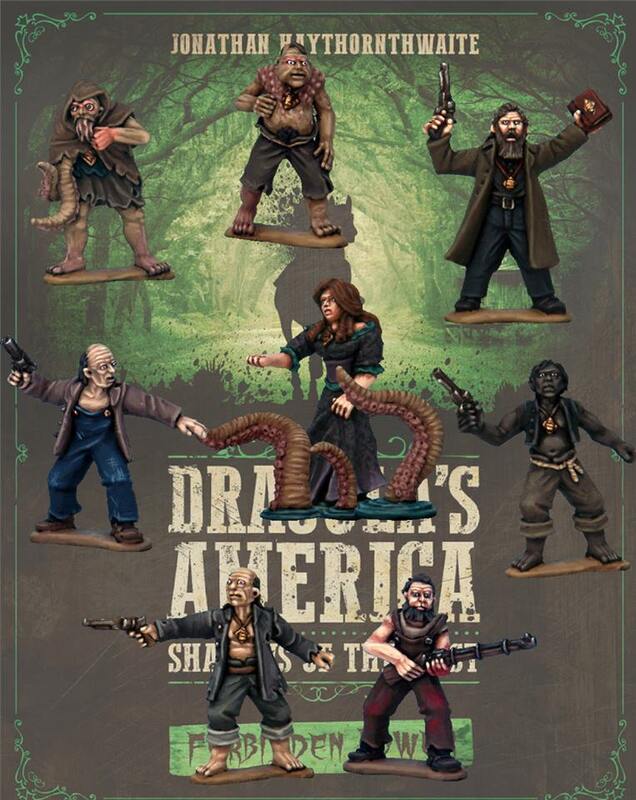 It is Cthulhu related, contains a campaign and new rules for the game. Hopefully I will get a copy of this book to check out but if you are interested, be sure to check out the Nickstarter before it ends. Hopefully you enjoyed this quick post.